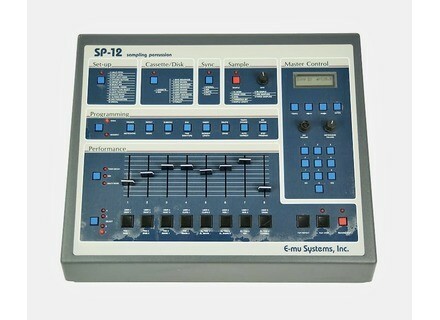 SP12, Drum Machine from E-MU. 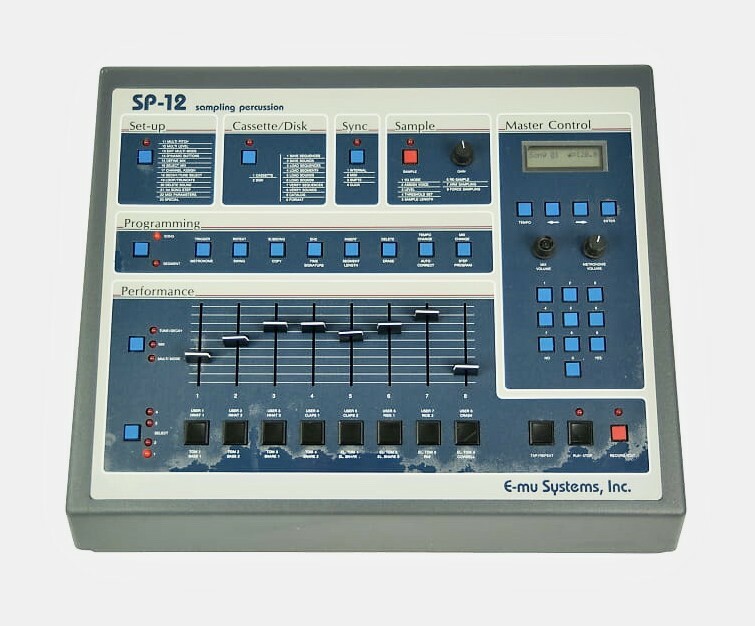 The E-Mu SP12 is a classic drum machine and sampler that was an innovator of it's time. I've only used the SP12 in limited use to date, as I only recently got to mess around with it for the first time at a band's home studio that I just started working at. I've really only used the SP12 as a drum machine, but it also has the 12 bit sampler which is awesome to have as well. The drum machine itself has a variety of preset drum sounds that are alterable to a degree. 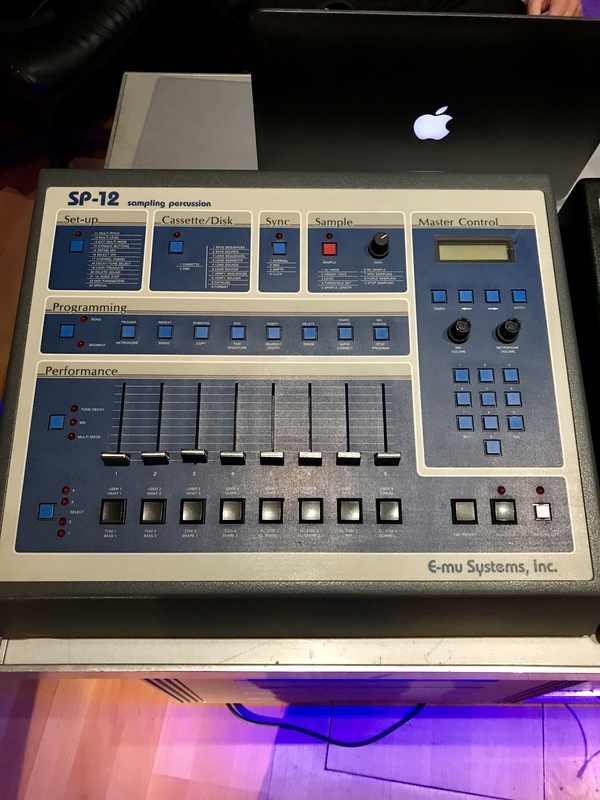 The SP12 has probably been heard by most of you reading this as it's been used by a lot of well known artists in the past since this was first released in the mid 1980's. The sound of the E-Mu SP12 will definitely be recognizable as it's the type of sound heard from other drum machines from the same era as well. However, it is unique in that it's one of the first sampling drum machines and you can sample whatever you want to throw it into the mix. The preset sounds are cool for a vintage drum machine, but the sampling aspect is really what makes it versatile. I've mostly used the preset sounds but I'm hoping to get some more experience with the SP12 and get more involved with sampling my own sounds. So while the preset sounds are cool, but the flexibility of this comes with the sampler. I don't know how hard it would be to get your hands on the E-Mu SP12, but I would imagine you could find one somewhat easily if you're really after this specific model. Of course by modern technology this is kind of a relic, but it can still bring a lot to the table and can be a real blast to play around with. 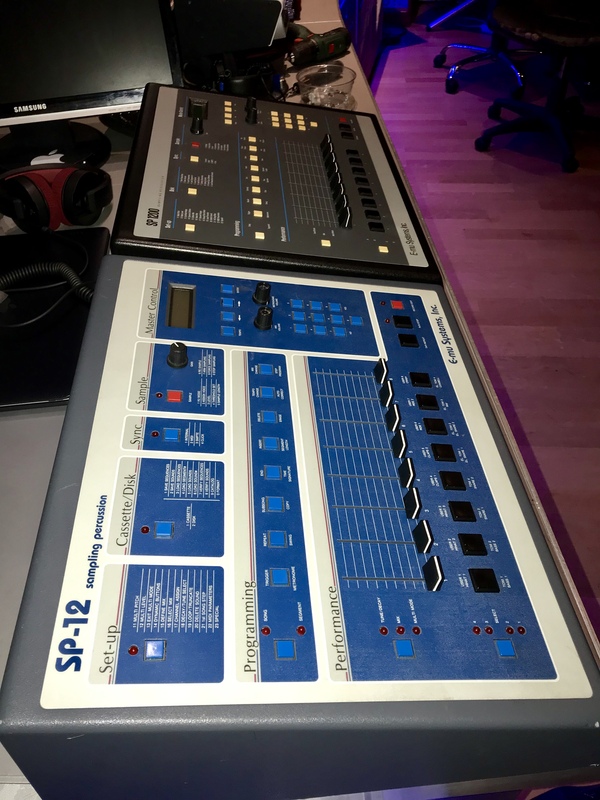 I don't know what kind of price this would command, but if you're a collector of vintage drum machine/samplers or are just looking to get your first, the SP12 is definitely a cool one to have if the price is right. 1985, saw all the news from the appearance of a bomb. A bote ryhtme / Sampler that was rvolutionner Hip-Hop, Rap, Funk, African music and especially the Amricaines Pop-indy/New wave: the E-MU SP12. Code name: the Beat Generation. XXL fawn, the SP12 intgre a combo between IDAL and the Groove Machine perfect sampler for a story-board synthtiseur to have their hands on all samples. 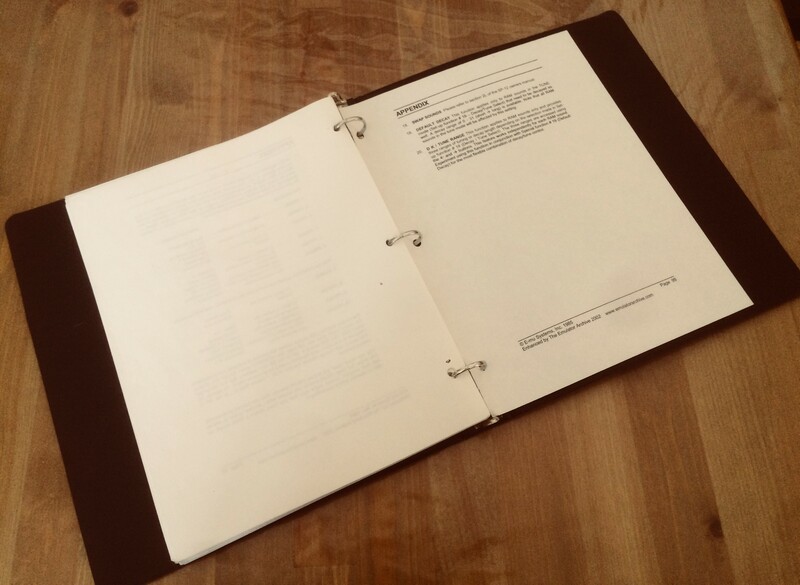 Whereas some of SP12 is a Laptop Emulator II format and have compared the respective CHARACTERISTICS it is not far away. "Exit" the new Linn Drum 9000, "Destroyed" the Oberheim DX / DMX, "Bye, Bye" the Akai MPC60 clbre markets two years tt. E-MU is the teeth on all brands trying to compete with the SP12 the delight of users. It shatters all, sometimes even the speakers if you do not train the impdance. 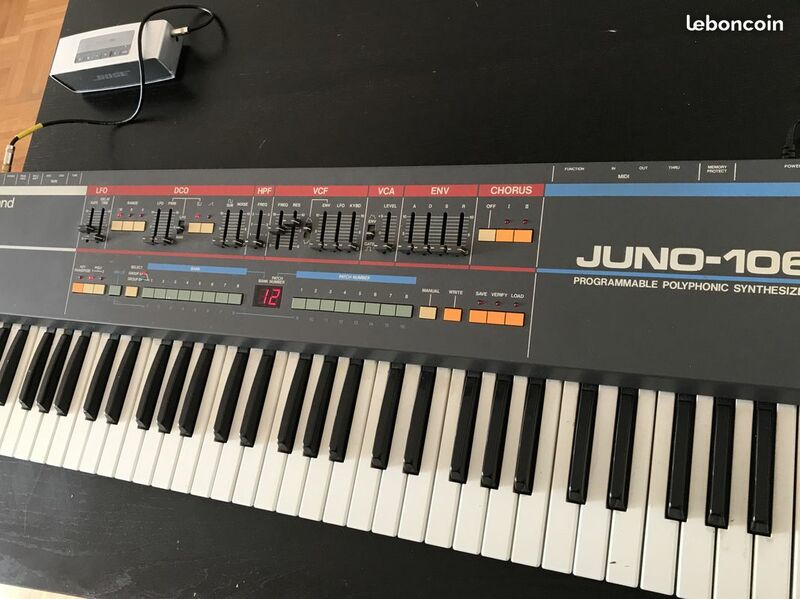 E-MU also proposed a library of CHAC samples with optional Floppy Disk 5.25 "
The Upgrade of SP-12 SP-12 TURBO stood at $ 795. for 4 seconds more and Sample ROM and x4. The E-MU SP12 offers an original preset sounds DRUM including kick, snare, HiHat, toms, cymbals, handclap and rimshot. The internal sounds like the mixes and samples can be expressed using the sliders CONTRL DDIS. I do not want posters, Copyright oblige. In addition to the internal sounds and patterns Beats or configure, you can utlise chatillonneur the 12 bits internally. The sampling time is limited and a few seconds even if the sound quality is a little "Low-Fi", ideal for Hip-Hop, Rap and Tri-Pop, the ability to compress samples for use and preservation is such that ultimately this was not a problem. We can save the rhythmic formats (patterns) and link in the Sequencer to pieces of A Z. The SP12 possde 8 individual outputs MONO asymtriques. no Master Out, No Exit Stro. MS-12 was quickly replaced by t clbre SP-1200 in 1987 to the coup (TOC) has also everyone agrees. In 1997 a rdition MS-1200 Has markets but has not been as successful or MS-1200 and still one month of MS-12. A version of the SP12 TURBO came complter ranks in late 1985. The production of this magnificent SP-12 TURBO has shall adopt in 1987. C'tait of commencement of BAR (ROM) dveloppe by Yahama and Roland. Only AKAI MPC has continued to produce rival MS-12.